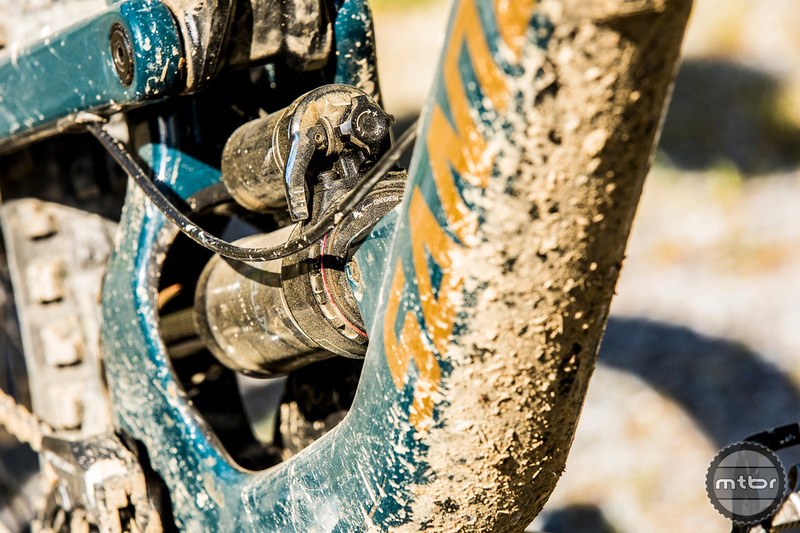 The fourth gen version of the Santa Cruz Nomad sits on 27.5” wheels and has 170mm of travel front and rear. 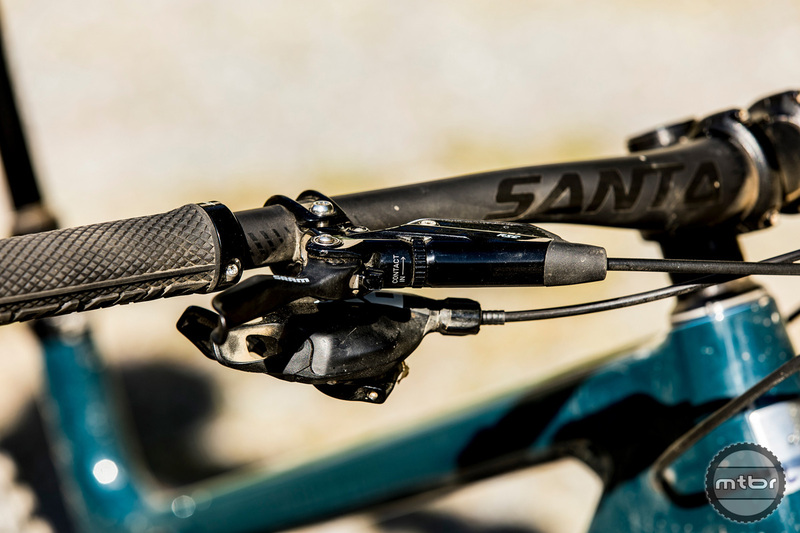 For the fourth generation of the iconic Nomad, Santa Cruz bikes has upped the ante by increasing rear travel to 170mm, lengthening the reach, and completely re-configuring the rear suspension. 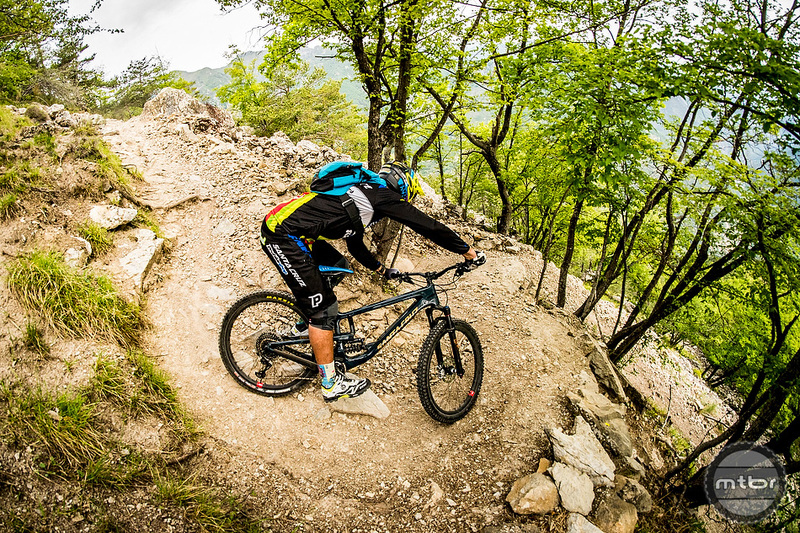 To learn more about the bike, Santa Cruz flew us out to Northern Italy for four days to meet with their product development team and shuttle some rowdy rock infested trail. For all the details, plus our first ride impressions, keep scrolling. The new shock placement mirrors the configuration used by the V10. 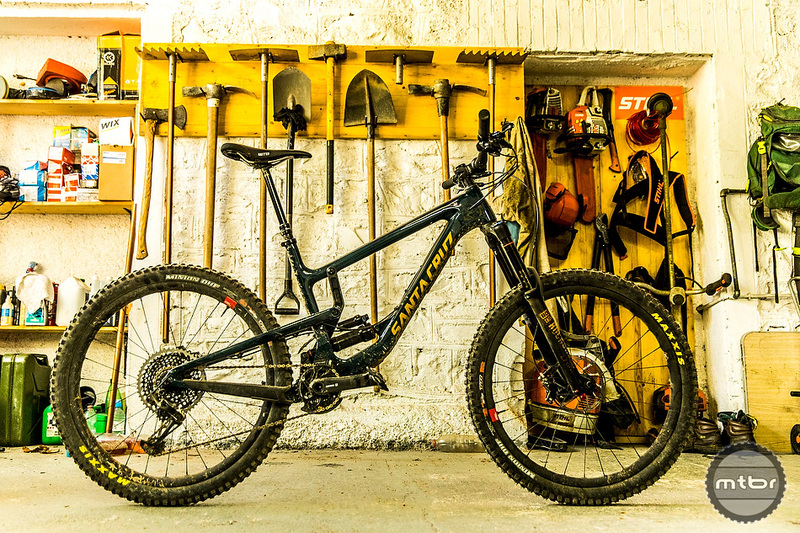 For the new Nomad, Santa Cruz looked towards the V10 for inspiration. The end result uses a lower link mounted shock, rather than the upper link mounting found throughout the rest of the line up. This positioning creates a shock rate that’s more supportive and progressive throughout the stroke. This enables it to play well with both coil and air shocks. To make this configuration possible, the engineering team was tasked with creating a tunnel through the bottom of the seat tube junction. One of the main challenges was to ensure this opening was large enough to accommodate every shock on the market, plus room for a water bottle cage. The shock tunnel is large enough to clear virtually any shock on the market. 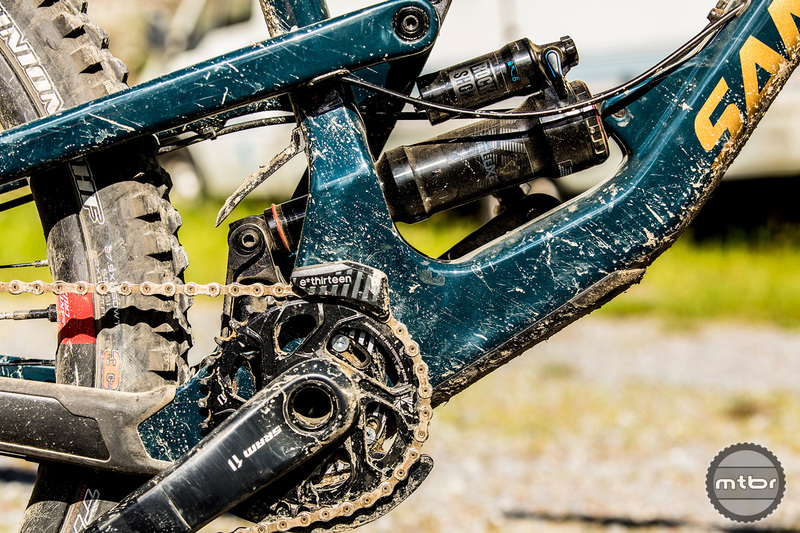 The stock air shock has the least progressive shock tune offered by Rockshox. It also ships with no air volume spacers inside. This was intended to give it the most coil like feel possible. 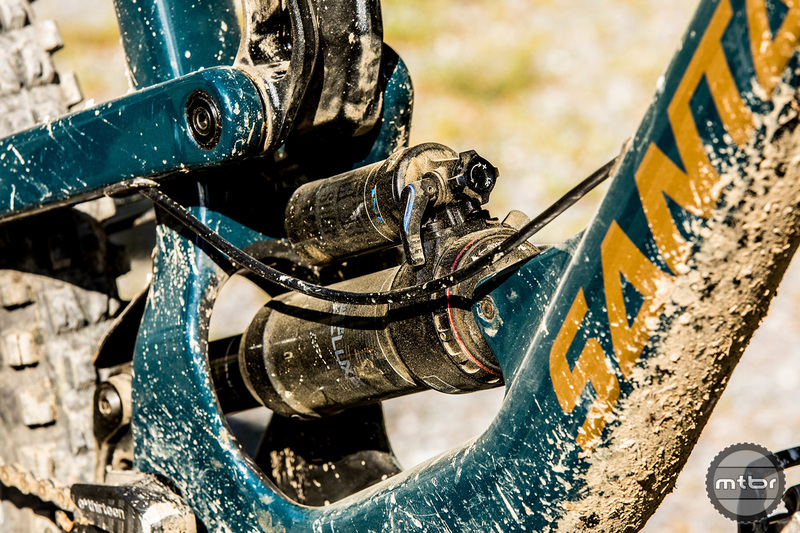 Santa Cruz also offers the bike with a coil. According to the product team, the air shock has more end ramp, while the coil is super liner and has a firmer mid stroke. After test riding both shocks back to back, I’d have to agree. 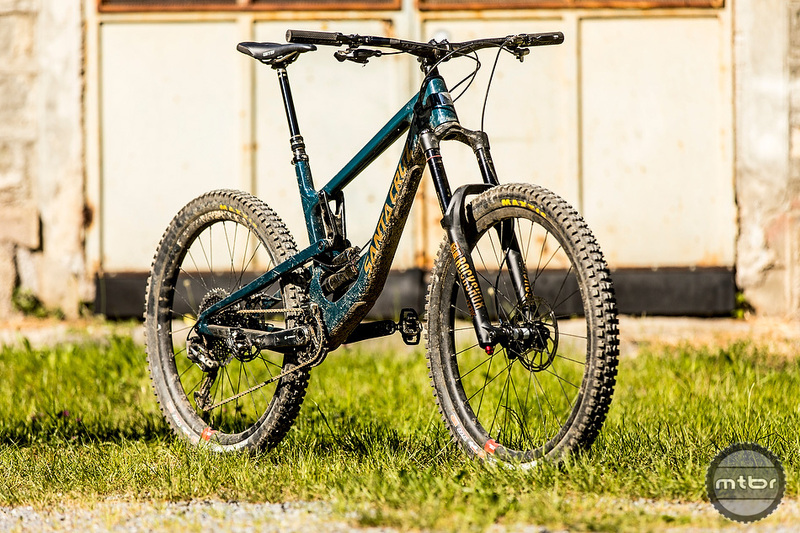 The Santa Cruz Nomad is available in five different sizes. 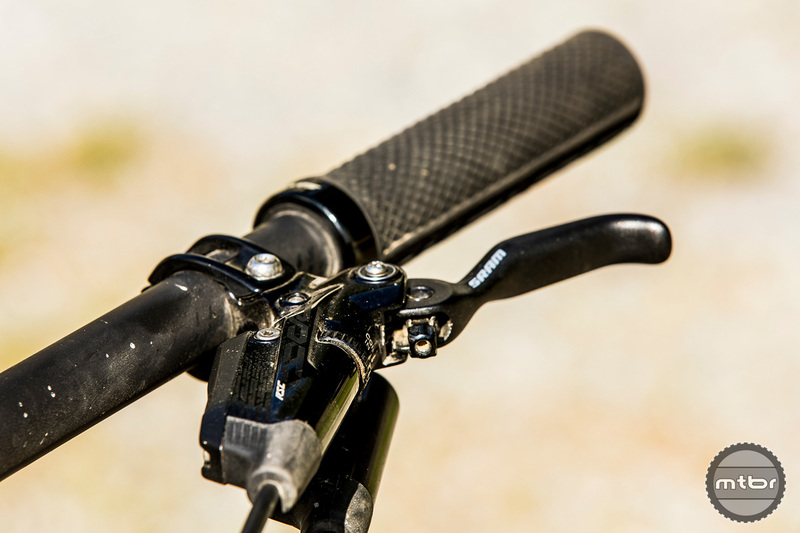 The new Nomad has in integrated flip chip on the lower linkage. In the high setting, the geometry is almost identical to the outgoing model. The only real difference is that the reach has increased by roughly 1” across all sizes. The other changes are more subtle in nature. For example, the chainstays were shortened by 3mm and the seat tube was steepened another .3 degrees to 74.5. Santa Cruz plans to incorporate flip chips on additional models in the future. The lower setting is intended for park riding. It pushes the head tube angle out from 65 degrees to 64.6. It also drops the BB down an extra 5mm and slackens the seat tube angle to 74.1 (which is comparable to the previous gen). 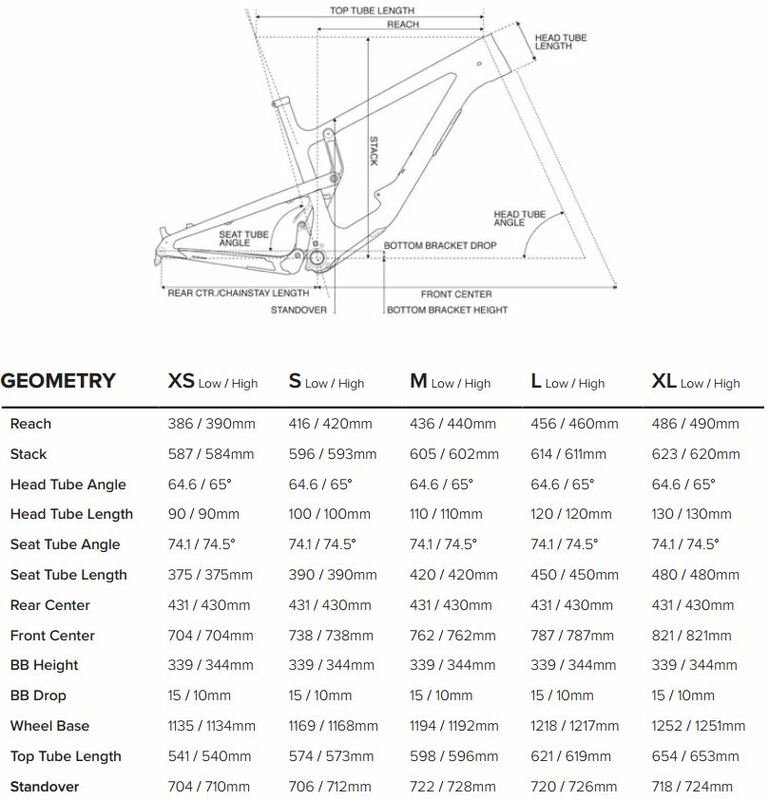 The frame will be available in five different frame sizes, from an XS to an XL. 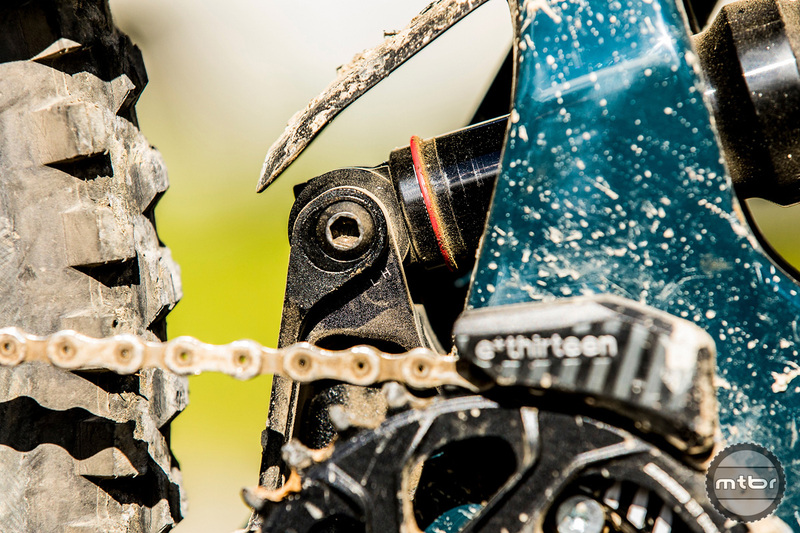 The XS ships with a 100mm dropper, the small jumps to a 125mm, medium gets a 150, and size large and up have a 170mm. I’m 5’8 and always run a medium frame. With a 150mm dropper, I was on the very cusp of needing to downsize to a 125mm dropper (or a saddle with shallower rails). If you have a disproportionately long torso, you might want to do some quick measurements before throwing down cash. 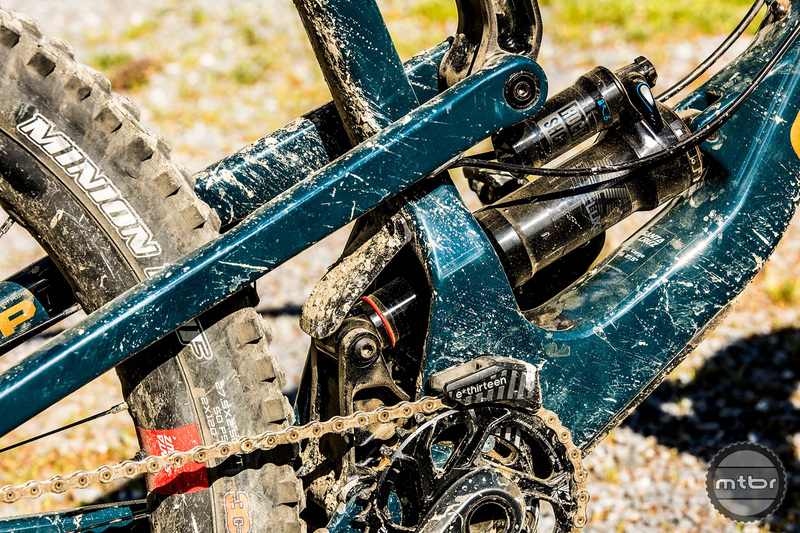 The new Nomad uses a post mounted brake to help keep things looking clean. The Nomad ships with a shuttle guard and downtube protector. Both of these plastic pieces are mounted via bolts, which makes them easy to replace or remove. I’d never seen a factory integrated shuttle guard before, but I hope the idea catches on. The look might not be for everyone, but it’s a great way to protect the frame from unnecessary scratches (or dents, in the case of aluminum). The other piece of plastic on this frame in an integrated rear fender, which protects the shock shaft and lower link bearings from gunk and grime. Other items worth noting are the presence of a threaded bottom bracket (hallelujah) and clearance for upto 2.6” tires and a 200mm rear rotor. And of course, the Newmad used the now requisite Metric shock and Boost spacing. The Nomad is available in either a deep blue or this desert tan. 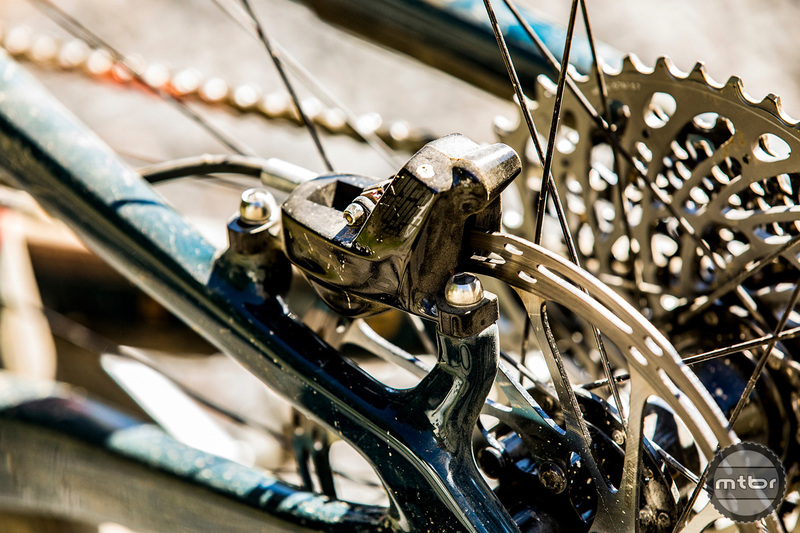 Prices for a complete bike start around $4,500. That nets you a carbon frame, Yari fork, NX drivetrain, and RaceFace dropper. My favorite build is the Nomad S kit, which ships with a Lyric, Super Deluxe Air or Coil shock, GX drivetrain, and Reverb post. That bundle will set you back $5,300. If you have the money to burn, Santa Cruz also offers X01 and XX1 kits for $7,199 and $8,199 respectively. You can upgrade both of these models with Santa Cruz’s new Reserve carbon wheels for an additional $1,200. That might be worth it, considering the wheels are backed by an industry leading lifetime warranty. 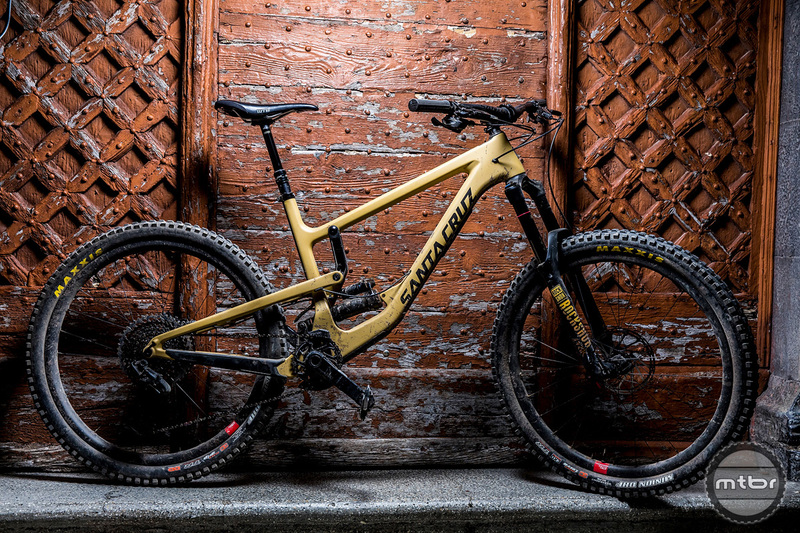 And in what might be the best news you’ve heard all day, Santa Cruz is planning to offer the new Nomad in alloy. 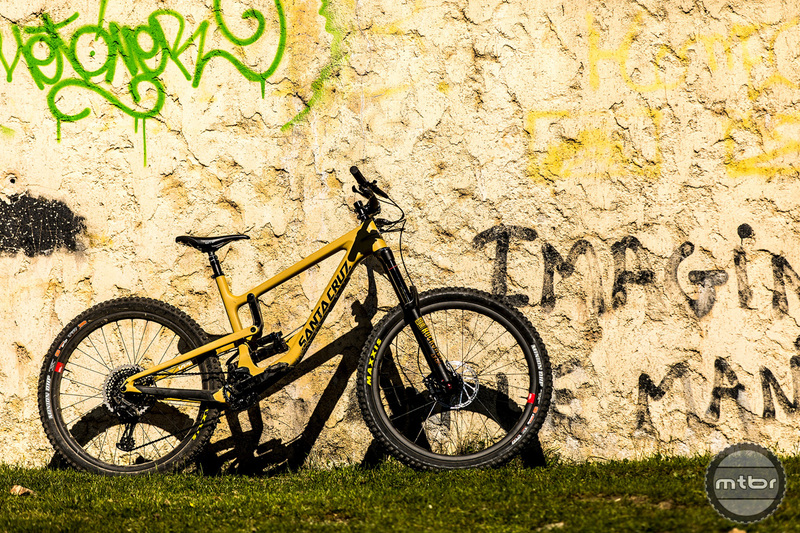 That announcement is about two months out, but I expect pricing will be in line with the alloy Bronson. The Nomad is so fast, it’s scary. There’s a scene in the original Fast and the Furious film where Vin Diesel’s character Dominic walks Paul Walker into the garage behind his house. Inside is a pumped 1970’s Dodge Charger with 900 something hp, which Dom explains he’s afraid to drive. The Nomad is my Charger. It’s the only bike I’ve ever been scared off. Scared not because it was unrideable but scared because of the raw speed on tap. This bike (or should I say the previous model) has encouraged me more than any other to send lines I’d never otherwise dream of attempting. Honestly, every time I got off, I was happy to be in once piece. There was just something about the bike that pushed me to reckless abandon. It was an endless adrenaline rush but it scared me. The new Nomad brings every bit of that joy and fear back into my life. In the high mode, the geometry is very similar to the previous bike and it’s just as fast.The big surprise was how much more supple the initial bit of travel felt. 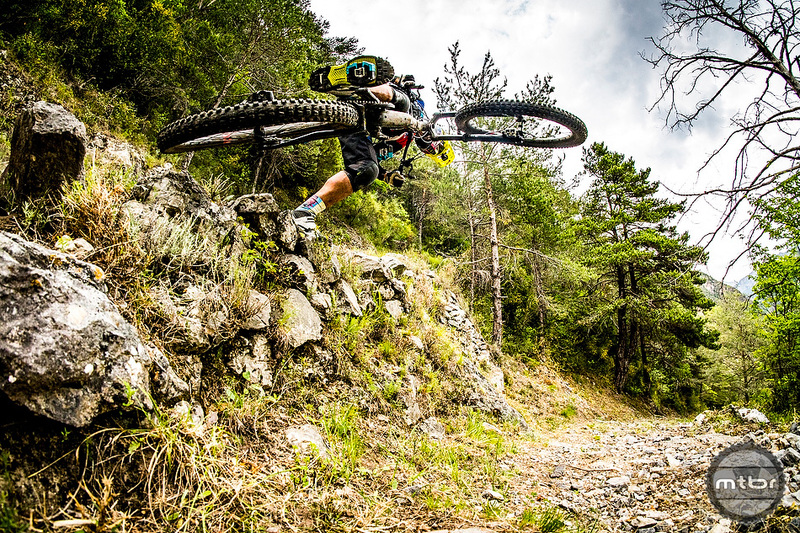 The new bike offers downhill levels of plushness, yet is even more nimble than before. The third and fourth gen Nomads have very similar geometries. The big difference in the suspension performance. Towards the last bit of travel, the Nomad ramps up aggressively. With the air shock, I struggled to get the that last bit of travel. It wasn’t until I swapped over to a coil shock that I was finally able to unlock the full travel. I only recently rediscovered what fun a coil shock could be on a trail bike and I’m sad it’s taken me this long. The air shock maybe lighter and easier to tune, but I think I might prefer a coil on this model. 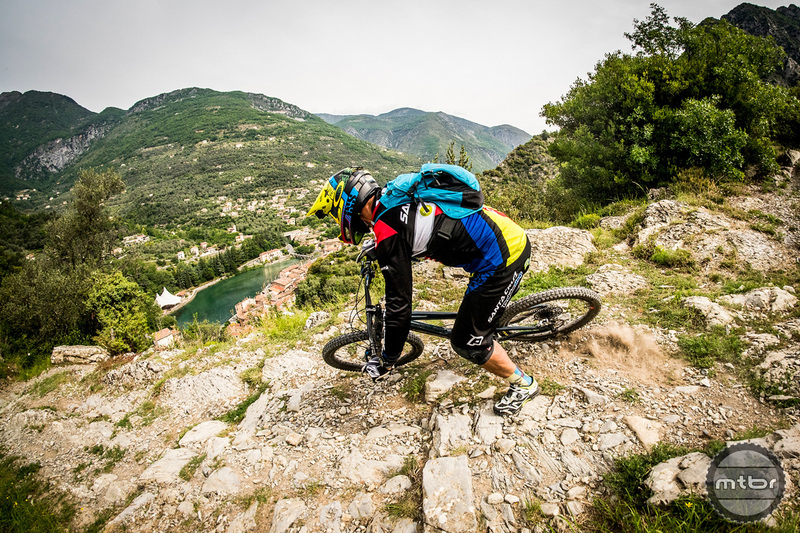 And while a bike like the Nomad is designed for descending, it’s astonishingly quick uphill. The front end is keen to wander when you’re trying to clean that final hill home, but otherwise it pedals better than a 170mm ought to. If you’re a fan of the previous Nomad, there’s a lot you’ll love about the new Nomad. The new look maybe polarizing but the suspension feel will prevent you from caring. Fully agreed. Santa Cruz is way over priced for what you get. 5400 bucks got me my Whyte G160 Works, with Pike, Monarch, Reverb, RSC brakes, XO1 Eagle drive, Carbon cranks, and carbon bars. I’ll tip my hat to SC for finally dumping that crap falling-rate suspension design, though. Welcome to 2017! Lifetime guarantee. Free pivot bearings. Excellent customer service. No-hassle crash replacements. That’s a good value.